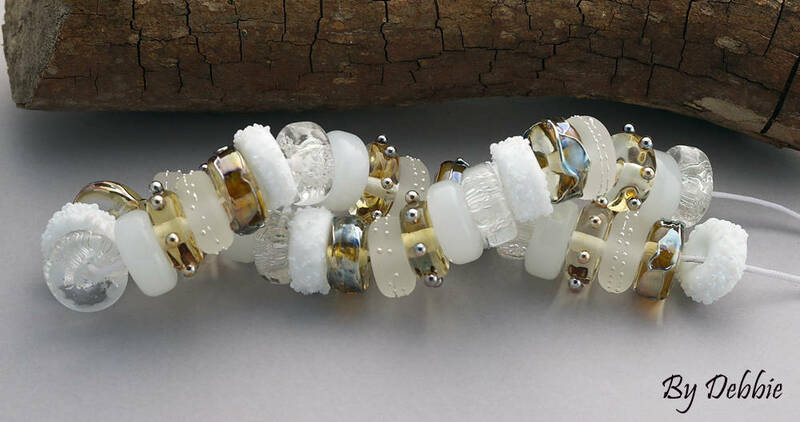 "Summer White" A beautiful OrGaNiC set of 36 handmade lampwork glass discs made in shades of white and clear. Measurements are roughly .50" (13 mm) in diameter for each lampwork disc and the length of the stand of discs will be roughly 10" (254 mm). Accents include dichroic glass, silver glass and pure silver wire. This is a made to order bead set. Your lampwork beads will be very similar but will be uniquely different as I make each lampwork bead in the flame one at a time. 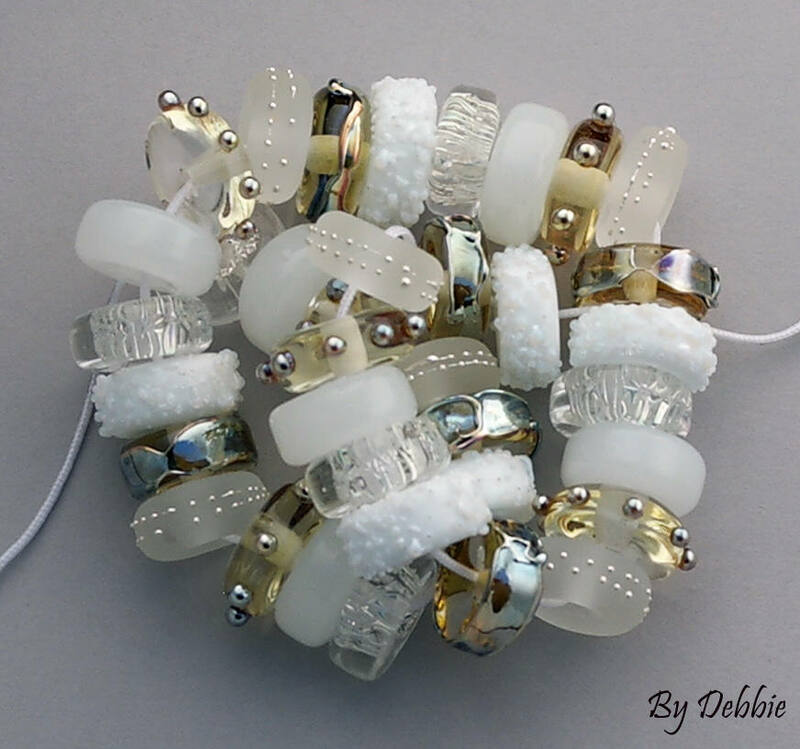 Please allow me 2-4 weeks to complete your lampwork beads. Longer if I have a back log of orders. I will let you know if I need more time. My lampwork beads are good for jewelry making projects and craft projects. Que de beauté, elles sont magnifiques. Un-freaking-believable! Just opened my package and the beads are the most beautiful beads I have ever seen. I’m in tears. LOVE! These are exquisite beads. So beautiful. 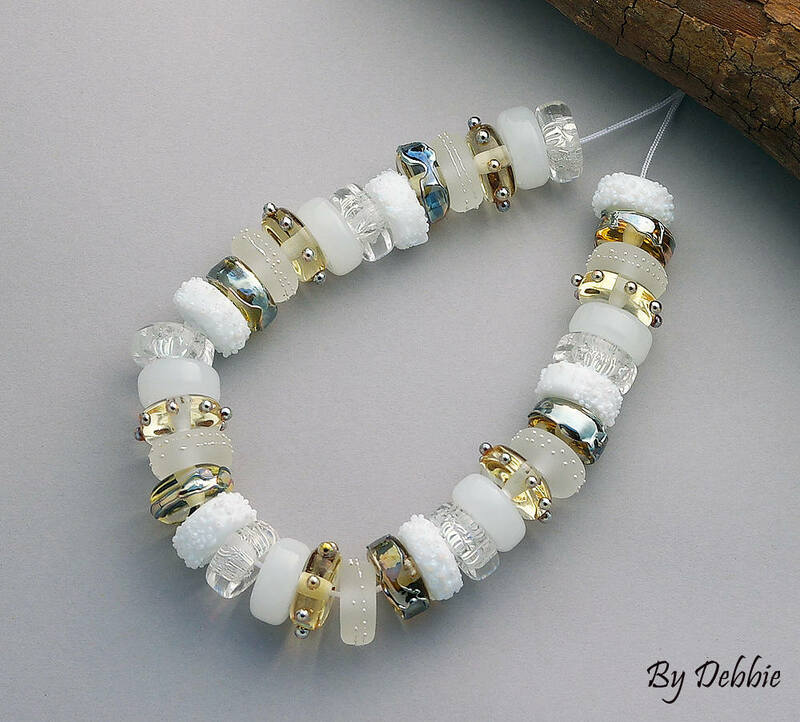 Is there anything other than gorgeous beads that come from Debbie? Not possible. These are just as beautiful as all the other strands I have. Crisp white, so versatile.